Take two bottles into the shower? I just wash and go. With thanks to McCann of Cooley for the heads-up. 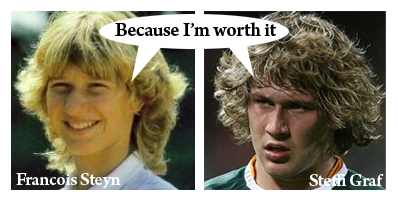 This entry was posted in Harmless Fun and tagged Francois Steyn, Separated At Birth, Steffi Graf by dementedmole. Bookmark the permalink.